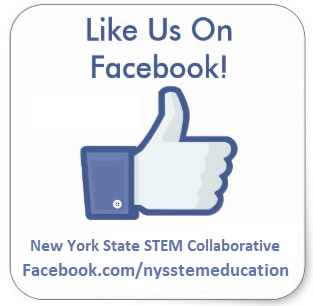 Our Mission – NYS STEM Education Collaborative, Inc.
Our Mission Statement: To define and promote the scope and integration of STEM education as a statewide and national model. AMTNYS, NYSSPE, NYSTEEA and STANYS work collectively and collaboratively to deliver STEM Education in the spirit and vision of New York State’s MST Frameworks and Learning Standards. We take this approach to skillfully and completely address the concerted state and national cry for STEM Literacy. To transform the NYS MST Learning Standards into effective and meaningful STEM Education Learning Standards delivery. 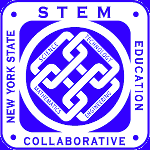 To provide STEM learning symposia that encourage and facilitate sharing successful and innovative classroom STEM practices by presenters representing AMTNYS, NYSSPE, NYSTEEA, STANYS, and our partners. To carry forward our NYS STEM Education Collaborative foundational work with enlightening debate and constructive discussions. To work together to ensure that accepted research and practice based STEM principles are applied in the ongoing development and implementation of new standards. To advocate for the modification of existing assessments, with changes in written language and references, to realize STEM connections.